Brad Lunde, CEO of our new US distributor TransAudio Group, presents a short summary of our MC‑3+ Smart Clock USB and REF 10 products. We are looking forward to meeting you and having a chat about all things digital audio at booth F01 in hall 2. 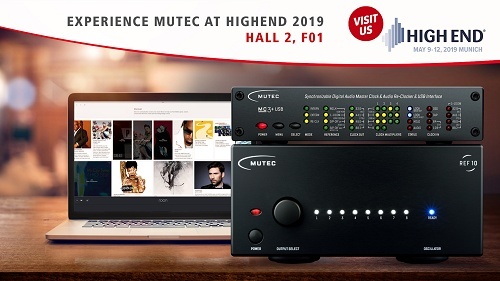 Discover all MUTEC products at a glance! Discover MUTEC on social networks and share your enthusiasm with our community.